At SOPERSL, we’re proud to offer a wide array of security-boosting office products: fireproof file cabinets, fireproof storage cabinets, fire- resistant safes, record safes, data safes, specialty safes and cash and key management tools. All of these office products are designed to help you store important information and objects in a way that keeps them insulated from harm. Whether it’s files in fireproof cabinets or on-site cash in business rated safes, we’ve got security products that give you extra protection. In terms of cabinetry, our products, provide the highest protection from potential fires. 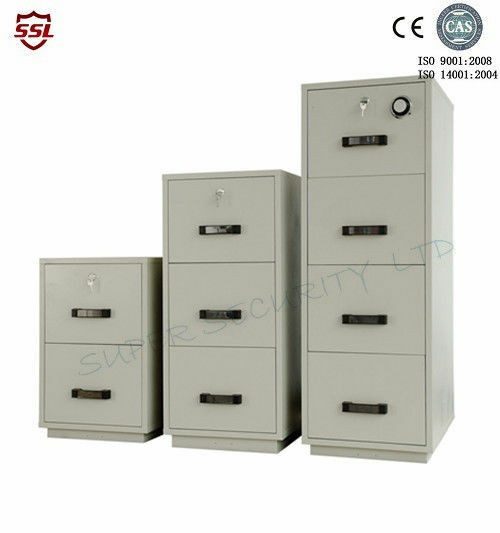 Additionally, we have record safes that provide some of the best document storage available, with options in various price points and sizes in order to accommodate your needs. 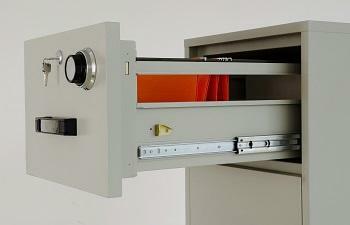 Our data safes protect computer media against damage from fires, dust, magnetic fields, electrostatic discharge, office accidents and unauthorized access. 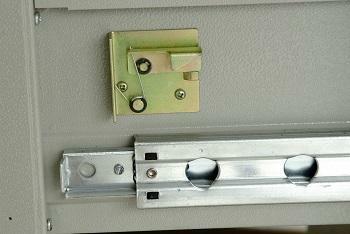 Our product line is specially designed to keep your valuables secure from theft, fire or other damages. 1.2-Hour Class 350 Fire Rating. 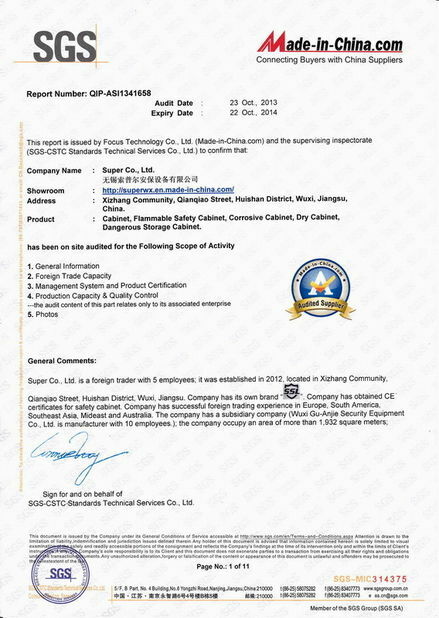 Products undergo exhaustive testing procedures passing both fire and explosion hazard tests conducted by JIS 1937-2006, which expose the file to temperatures of 1700 degrees for one hour resulting in the internal temperature not exceeding 350 degrees. 2.Special Fire material between cabinet body to guarantee properties for a lifetime, and completely eliminate corrosion. 3. Environmentally Friendly Finish. 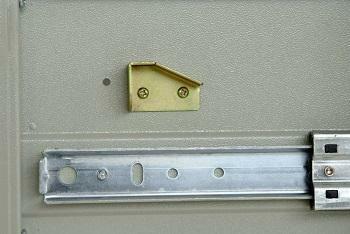 Electrostatic powder coated finish is applied to all sides including the bottom. The finish is scratch-resistant, providing a lifetime quality appearance. 4.Insulation between all Drawers. This design makes each drawer a separate insulated container. 5. High Side Drawer Bodies. Drawers are built with high sides for use with hanging folders – no additional frames are required. 7.Interlocks: Each one features a two-position drawer catch, which allows access to certain drawers, while drawers containing sensitive information remain locked. whole cabinet thickness is 50mm, and drawer's front is 72mm. 11. 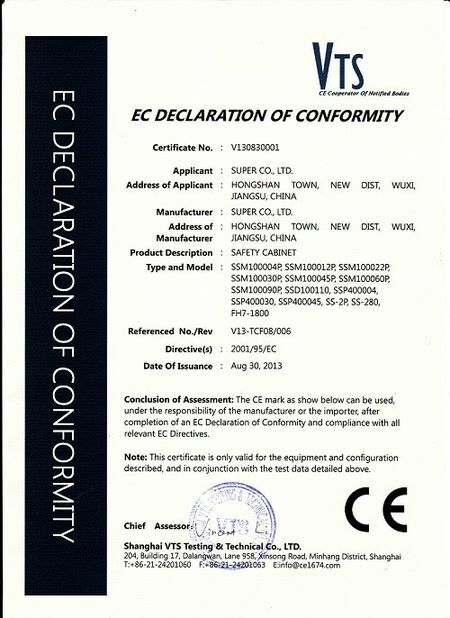 Made of top galvanized steel sheet with best feature of anti-rusting, finished with power coating inside-and -out, scratched resistance and environmental. 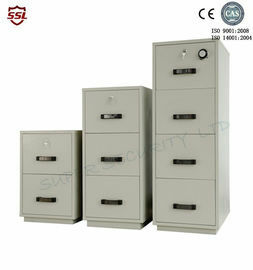 Fire resistant filing cabinet is used for long term storage (10-100 years) of very important papers or medium and data. Paper storage types include primarily important files, agreements, coupons, archived documents, notes, valued calligraphy and paintings, stocks, bonds etc., while medium and data storage types include important magnetic medium and archives such as magnetic disk and tape, micro-disk, recorded data, visual video data and flash disk, VCD/DVD, mobile hard disk etc. to protect stored paper and medium highly sensitive to temperature and humidity change, dust environment from humid and dust intrusion, ensuring your paper and data safety.